Make sure your site is up to par. Know your customer, know how they will look for you if they don’t know you exist and create content, page titles, alt tags and image alt tags that help them find you. Make sure your website is up to par! Driving traffic to a website that can’t stand on it’s own in the search engines is not a smart move – because when the search engines figure out that everyone is using “social media” to build up “inbound links” to their site (and many Search Engine Marketing companies are charging customers big bucks to leverage this current trend) – you will find yourself back down in the bottom of the “ranking barrel”. Set up a good blog. Post good, usable information on the blog consistently (at least twice a week). Use your key words and link back to your site when appropriate. (Hint – if you make “click here” a link then the search engines will think that you consider “click here” key words!). Also link to other sites that might be of interest to your customers (but not direct competitors). Set up a Facebook Fan Page – make sure you check the settings and allow ANYONE to view the page (the default is age 13+ – if you don’t change this your site is not viewable to the public – therefore, only people logged in will “find” it in a web search. Include your Logo / Branding using the limited tools they offer. Fill out the info about your company/self. Set it up to get a “feed” off of your blog – this way you don’t have to post in both places – just post on your blog and the info will reach your “fans”. Add a “follow us on Facebook” link to your website. Set up a Twitter page for your business. Link your Facebook posts to it – this will auto feed your blog posts into your Twitter page. Set up a LinkedIn Profile – again, fill in all the blanks and brand it as much as you can with our logo etc. 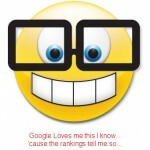 Create a link on your website to your Google local “reviews” page so people can post great reviews about you. Create a link you your Google Map on your site. Make up post cards directing people to “post a review” about how awesome you are and providing a link to your Google Local write a review page and hand them out/include them in orders to existing customers. Did I say post on your blog at least twice a week? Make sure you also add/update content on your website at least 2 times a month – once a week is even better! Too tired or too busy actually running your business to do all of this – no problem, we can do it for you :-). Learn how Coburn Enterprises helps customers win the Search Engine Dominance challenge!. Posted in Search Engine Marketing, Search Engine Optimization, Social Media Friend or Foe?, Step by Step Web Site Planning and SEO | Tagged Determining your target audience, Getting people to your website is only the first step, How do customers find my product or service?, Only one chance for your website to make a first impression, Search Engine Dominance, Search Engine Optimization, Step by Step Web Site Planning and SEO, What is SEM? Social Media for Search Engine Marketing – Huh? Social Media refers to sites where visitors can interact with each other in one way or another. Also referred to Web 2.0 (a term I still haven’t seen fully embraced), Social Media is not a new product, in fact it’s been around longer than I’ve been on the web (and that has been since dinosaurs roamed the lands and AOL was the be all and end all of “you’ve got mail” connections. I actually gained the foundation of the knowledge that has allowed me to make a business out of my love for technology from a guy that my Mom met in an “online forum”! She posted a question about something and this guy had a great answer – so she emailed him and thanked him. They started “chatting” via EMail and he introduced her to ICQ – this was pre-Instant Messaging from AOL. So, social media is definetely not “new”. What is “new” is the attention it is getting from the search engines and the hype it is getting from the media – all of this is driving traffic to sites like FaceBook, LinkedIn, Twitter and, oh, let’s not forget MySpace (although oddly enough I haven’t heard MySpace be mentioned in the media outside of cyber bullying in almost a year!). What you may not know is “social media” also refers to things like Blogs, Forums and other online communities. When you are getting “hyped” about the importance of Facebook and other social marketing sites, keep in mind, Facebook wants you to be hyped because they want to sell ads to people that want to know everything about you (which you provide when you set up your profile). Facebook is not your “friend” it is a business designed to bring traffic in so that they can provide statistics to potential advertisers that say “Hey, I want to sell to 50 year old women – can you help?”. Do I still think you need a Fan Page – absolutely – but don’t think that a FaceBook Fan page is going to give you long term success. View it as only one tool in your tool box. Especially keep in mind that if you are making money off of that fan page and Facebook isn’t getting their share of it – the program will change. When I “sell” a client on an SEM (Search Engine Marketing) program I do the things listed in my post Steps to Search Engine Dominance – but you can do these things for yourself! Posted in Search Engine Marketing, Social Media Friend or Foe?, Understanding the Lingo | Tagged How do customers find my product or service?, Only one chance for your website to make a first impression, What is SEM? Social Media to market your website – Hype or Value? One of my clients called today because his “boss” just got back from a Search Engine Marketing seminar and this prompted a lot of questions – of course – I LOVE these phone calls because part of my goal with my business is to empower each client (all small business owners, most like me struggling to make a living doing something they love). 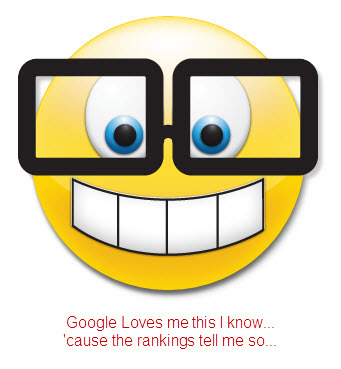 We did a quick review of his website and I gave him some instant homework that, if he does it will make an immediate impact on his “search rankings” – basically I walked him through the points I list on my Search Engine Dominance article on my website. As you read the books and articles or even websites you will find on this subject, keep in mind that 9 out of 10 sites that are telling you how important Search Engine Marketing and Social Media have become are really “selling” their services. I guess in a way I am too but I have a different take on the whole thing – my perspective is that the only thing a site owner can be 100% sure of is that the search ranking criteria WILL CHANGE – so the “quick fix” that works today may not work in 6 months or a year – therefore, the most important thing any website owner can do is make sure their site says what it does and does what it says. Today it’s “social media” – the concept of using online communities to hype your website, filling your profile and fan pages with “key word links” and tons of borderline useless content and links back to your website. But bottom the reality if you tell the search engines your site is about Purple Widgets and you put enough key words in your page titles etc to come up number one for Purple Widgets but then Purple Widget shoppers get to your site and find out you really offer only Green Widgets – you’re going to lose in the long run. Moral to the story – do the right thing, provide the information that people that you want to be your customers are looking for, edit that content to include the phrases, page titles and key word links (to pages within your site as well as quality complimentary sites) that they will search for and you will have success.